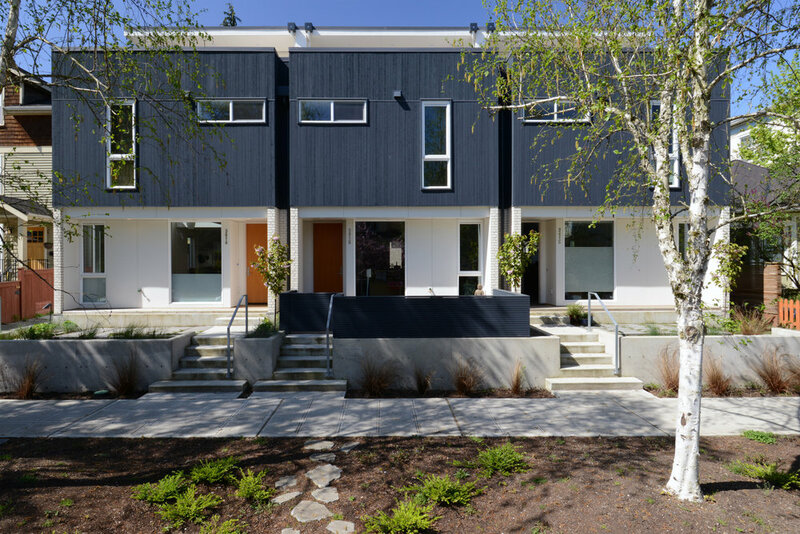 Project 339 is an eight unit townhouse development located in the Capitol Hill neighborhood of Seattle. Current development standards within the city generally prioritize the individual identity of each townhouse unit over the cohesion of a complete project identity. This push for unit expression has resulted in bulky accretions of structures that want to be single family homes but are clearly not. In this case, the project is situated in a context that includes early 20th Century three story brick apartment structures, single family homes and an alley shared with commercial buildings. This is not a context where the prevailing townhouse strategy of individualization is appropriate. Instead, through a strategy that is more closely scaled to the classic apartments in the area, the project is able to bridge the varied scale and character of the immediate context. Within a straightforward use of brick cladding at the ground floor and simply articulated cedar above, the cladding seeks to unify rather than differentiate. While there is an overall strategy of unity, three distinct transitions tie the project to the varied context. Street facing townhomes have a two story street façade and a third floor stepped well back in order to reflect the scale and development patterns of the single family homes across the street. The stepped back story also creates private outdoor space for these dwellings. A large courtyard provides a central identity to the project. The scale and materials of this space relate to the classic courtyard apartment projects found throughout Capitol Hill. 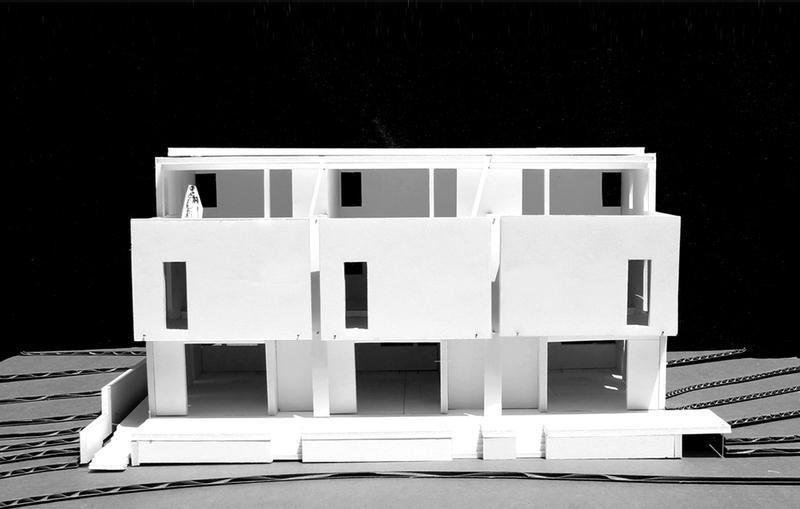 The alley facing dwelling units invert a traditional domestic configuration to create a lofted top floor living space.